The county council is seeking views on how it prioritises the funding for public transport. As part of this consultation, options are presented for changes to some local bus services. In addition to the evening events (details in the attached poster), there is also an online consultation to identify local public transport needs (access the consultation here). If you plan to attend please contact Victoria Powell on Victoria.Powell@gloucestershire.gov.uk so they have an idea of numbers but you can just go along if you wish. Press release from Cotswold District Council. As work continues on developing a Local Plan for Cotswold District, the Council is now consulting the public on the planning policies and standards which, when adopted, will set out the ground rules to be followed when considering applications for development. The proposed policies will cover a wide range of issues from housing and employment to design, infrastructure and the environment. This public consultation marks another key step in preparing a new Local Plan. It follows on from the Development Strategy and Site Allocations consultation in January 2015, which included requests to comment on objectives for the Local Plan. This time around, the public is being asked to focus on whether the planning policies would deliver sustainable development which helps to meet the Local Plan’s objectives (. The consultation period will run until midday on Monday 21 December. We have received the following press release from Cotswold District Council. The Local Plan 2011-2031 is an important document – it will set out local planning policies and determine which sites can be developed for housing or other uses over the 20-year period of the plan. Don’t miss this opportunity to have your say! 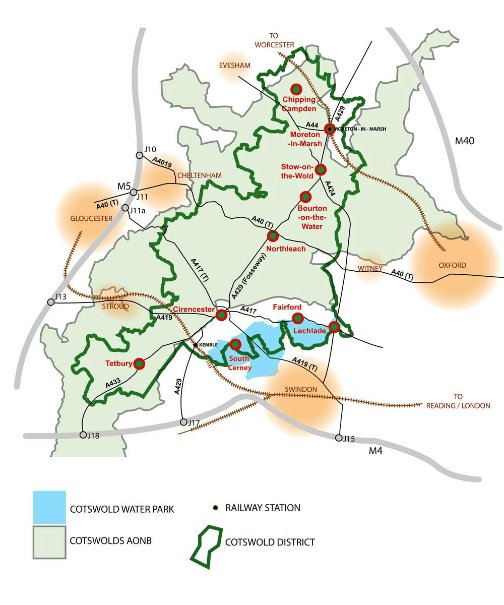 RELEASE DATE 13 JANUARY – A Local Plan consultation document detailing the Cotswold District’s development strategy, proposed site allocations and strategic policies is being made available for public comment from Friday 16 January to Friday 27 February 2015. During this period, the public will be able to view the document online at www.cotswold.gov.uk/go/ForwardPlanning and hard copies will also be available at Cotswold District Council’s Trinity Road headquarters and Moreton Area Centre office, as well as public libraries across the District. Each Town and Parish Council will also have copies and the public can contact any of them if they wish to view the document. Cotswold District Council is also hosting two drop-in sessions for residents to view proposals and discuss them with the Forward Planning team – Wednesday 28 January at the Council HQ, Trinity Road, Cirencester and Thursday 29 January at the Council’s Moreton Area Centre in Moreton-in-Marsh. Both sessions will run from 2 pm to 6.30 pm.